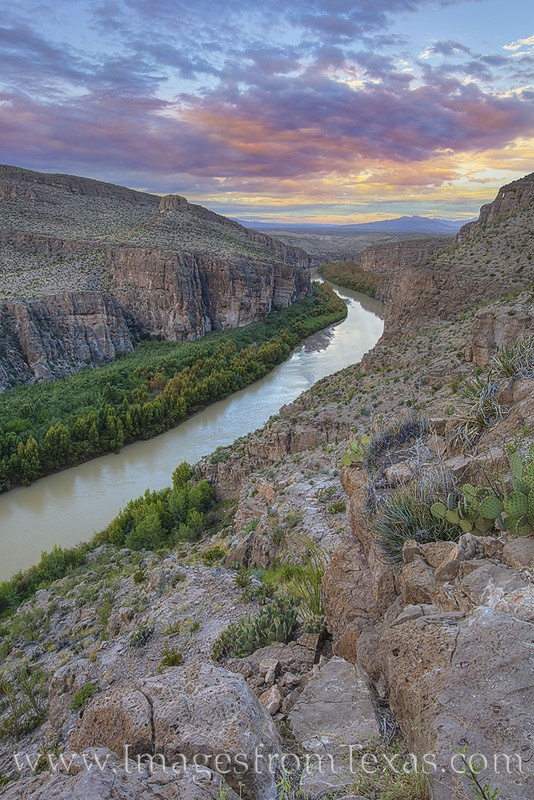 Looking west through Hot Springs Canyon in Big Bend National Park, the first colors of daylight begin to show. The sun was over the mountain to the northeast, but enough light made it through the clouds turn show pink and orange. Far below the Rio Grande made its path through the canyon. It was a beautiful morning.